Associate Director; 'Gods and Monsters' (World Premiere) at The Southwark Playhouse. As Director;9 to 5 The Musical', 'Made in Dagenham' at The Waterside Theatre Manchester, 'Edges' at Tabard Theatre, 'Distant Echoes' at The Brockley Jack. As Assistant Director; 'The Legend of Notre Dame' at The London Theatre Workshop. Resident Director - 'Aladdin' (Bath Theatre Royal). 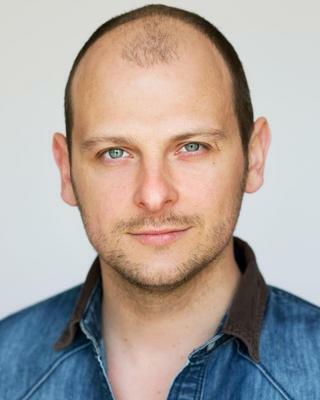 Acting Credits include: 'Kiss Me Kate' (Kilworth House), 'Jackie The Musical' (UK Tour), 'The Night Before Christmas' (Watermans Theatre), 'Dirty Dancing' (London), 'Oklahoma!' (UK Tour), 'Seven Brides for Seven Brothers' (UK Tour), 'The Sound of Music', 'Westside Story', 'White Christmas' (European Premiere). I have taught/lead workshops/directed at many Drama Schools and Colleges including Arts Educational School, Performance Preparation Academy (Guildford), Arden School of Theatre and ALRA.